Working with Stonehenge Design and Building, this large family home was designed for a small block of land in Toorak. The owners have teenage children so our brief was for a comfortable and easy house to relax in. 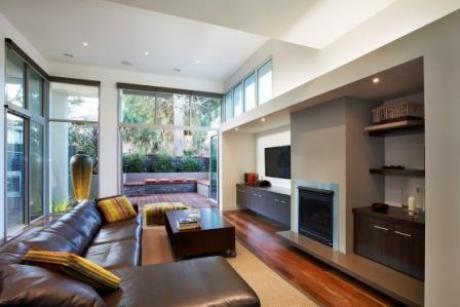 The fixtures and finishes were kept simple and plain so the interior style of the house is timeless. The furnishings were selected and designed so they are not 'precious'. The clients particularly wanted a casual dining table like a cafe table with high stools instead of chairs. The large formal dining room is used for entertaining.